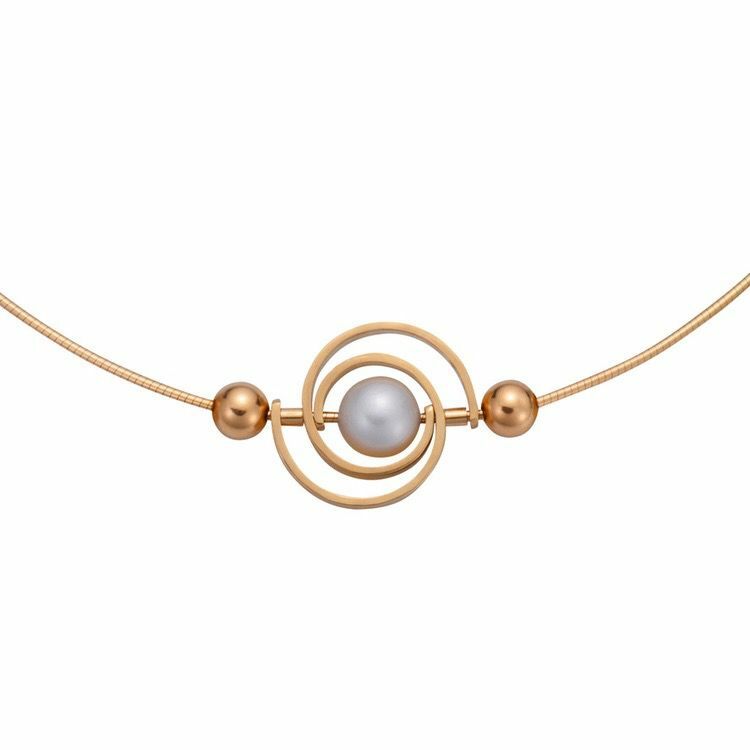 Home » Martha Seely Design - INSPIRO Two Tone Single Spiral Pearl Necklace. Martha Seely Design - INSPIRO Two Tone Single Spiral Pearl Necklace. Martha Seely earned her MFA in Costume Design from Carnegie Mellon University and BA in Art and Art History from Connecticut College. Born in New York her design aesthetic has been influenced by her travels, researching clothing and art history as well as two years living in Greece and Sweden as a child. Martha’s design career began as a costume designer and wardrobe stylist for theater, film, and television, exploring the integration of form, textile, and movement. Her understanding of clothing and fashion translates into jewelry designs that harmonize and enhance a woman’s style. Her design goals in both her clothing and jewelry is to create extraordinary pieces for extraordinary women. Her work in jewelry and metal evolved through training begun in 2007. Martha has studied with master jewelers exploring and refining the techniques of fold forming, hammering, stone setting, wire weaving and cold connections. Since 2012 her work has been carried in galleries and at various retail events and venues. Each individual piece of Martha’s jewelry is designed and carefully handcrafted in her Concord, Massachusetts studio from precious metals and gemstones.